A few years back, my parents showed me the film Das Boot, and it absolutely blew me away. So when I found out that it was based off of a book after coming across it at a secondhand bookstall, I couldn't really resist seeing how it compared to the film adaptation. 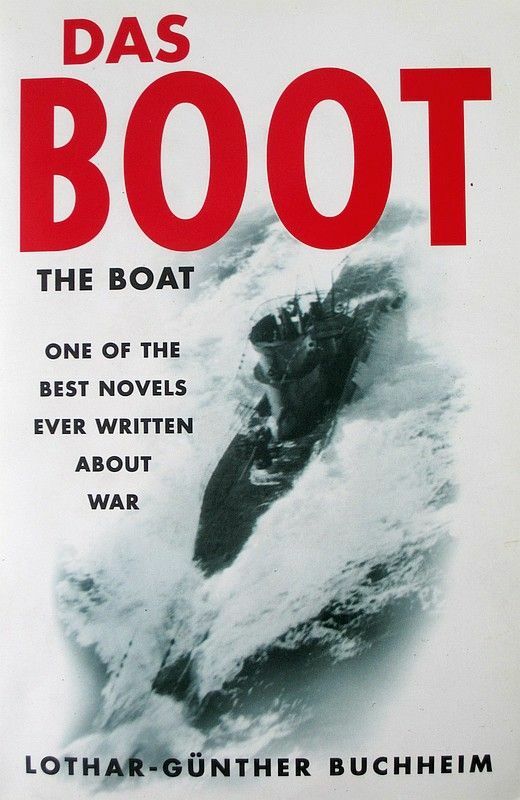 Das Boot is a novel closely based off of the experiences of the author's time as a naval correspondent aboard a German submarine. The U-Boat that the narrator finds himself on is set to make a patrol around the Atlantic, with the aim to destroy enemy supply convoys. It soon becomes clear why the return rate for sailors on German submarines was only 25%. So, good parts first. 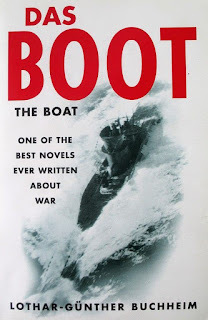 If you're interested in military history, this is fantastically detailed account of life aboard a German U-Boat. There isn't an area of life on the boat that isn't touched upon, from daily routine, to the mechanics of the submarine itself, to the dangers of naval combat. I wasn't aware that this would be such a plus point for me, but I personally found the sections about how the submarine actually worked to be utterly fascinating. Additionally, this attention to detail makes the sections where they have to dive to avoid enemy fire all the more claustrophobic and harrowing. Unfortunately, the bad parts of Das Boot also stem from this attention to detail. The book is separated into 11 chapters, with each focusing on one particular set piece, as it were. That in and of itself isn't an issue for me. The issue I have is that the chapters, and by extension each set piece, go on for too long. For example, one of the chapters recounts a storm that the U-Boat gets caught in, and it spans a grand total of 66 pages. I don't know about you, but there are only so many ways that you can describe terrible weather conditions and the sheer violence of the turbulence inside the submarine, before it starts to get repetitive. Unfortunately, this happens more or less every chapter. No matter how interesting the subject matter, it just feels like it's been stretched out far beyond what the material can actually provide. And because the style is so detailed, the reader is treated to this repetition with intense detail. Whether that is intentional or not, it wasn't to my taste.